While I am on holiday in Santa Cruz, I’ve asked Hermes about his father and found some old photographs. Severiano is the great grandfather of my children and I am doing a series of posts on our family’s geneology. It will be good to capture these stories for future generations of my family. 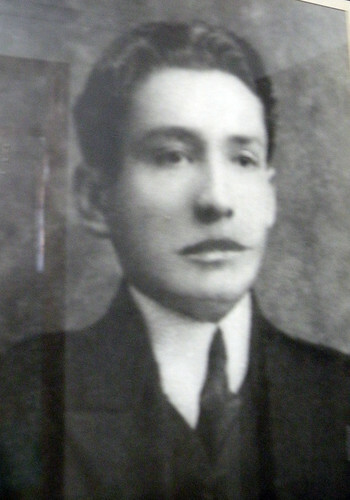 Severiano Chavez Justiniano was born in 1884 and died in 1968. He was born in Santa Cruz, Boliva. He inherited from his father, a land holding of 2,500 hectares (over 6,000 acres) located north of the city in the province of Warnes. He owned 300 head of cattle, and also produced sugar and molasses for the city. He was not the simple farmer that many immigrants were in America. 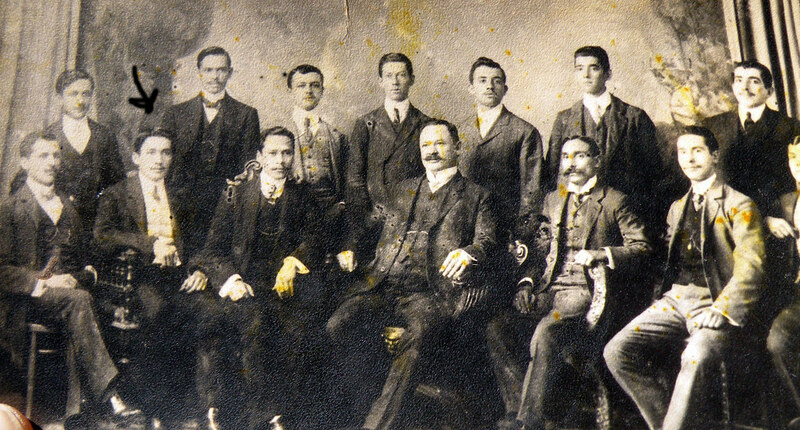 Severiano belonged to the high society of Santa Cruz and was the governor of the province. He also belonged to the 24 of September Club.The club is named after the date of Santa Cruz’s founding. This is the oldest association of Crucenos dedicated to running of the city and socializing. Severiano, like many “patrons” of the age, had a rich family life. He was married four times and fathered 9 children. His first wife was Ester Cronenbold, who died while giving birth to their daughter, Ester Chavez Cronenbold. His next wife was Castulia Zabala and he had three children with her. They were Meri, Mari, and Saul Chavez Zabala. His third wife was my children’s maternal grandmother, Leocadia Chavez. She was very young (born 1926) and despite the same last name, they were NOT related. She had four children, Graciela, Silvia, Hermes, and Ever. Leocadia sadly fled the ranch when Nadia’s father, Hermes was only 2 and 1/2 years old. She left in the middle of the night with the baby son, Ever. Leocadia ended up in Brazil and it was not until many years later that she came back and saw Hermes again. In recent years, Herme’s brother Ever, came to Santa Cruz from Brazil to stay with Hermes on occasion. He recently died of cancer. I’ll write more about Leocadia and the others in later posts. I wrote previously on Silvia Chavez Chavez. Severiano at 70 years old married a fourth woman, Sara Pizarro and they lived together for 12 years before Severiano died of pneumonia. Severiano sired a ninth child, Ana Maria Chavez Pizarro. Because Severiano was so old when he fathered Hermes (age 56), Hermes didn’t really have much to say about his father, although he loved him dearly. Things obviously were much different back then. I wonder what it would have been like here in Bolivia at that time. I’ll try to find out more about him when I come back to Bolivia. I imagine being a rich, land-owning, Creole in the former Spanish colonies had its advantages. Below is a photo of Severiano with some other 20th century gentlemen, most likely the 24 of September Club.